This particular Sakae kit was used for a clinic at PASIC and was used several times for a local University's performances. 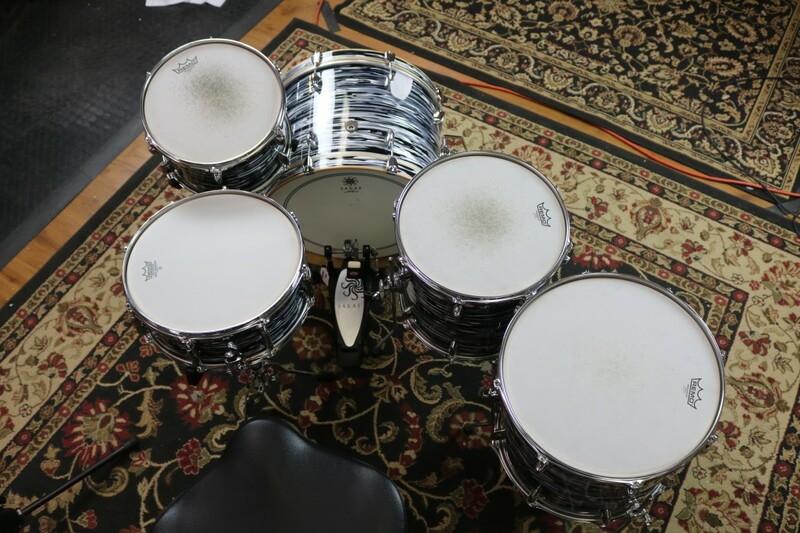 It is in excellent condition, but it is priced at demo pricing. 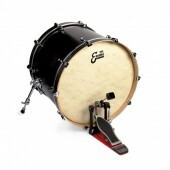 It's a great kit at a great deal! 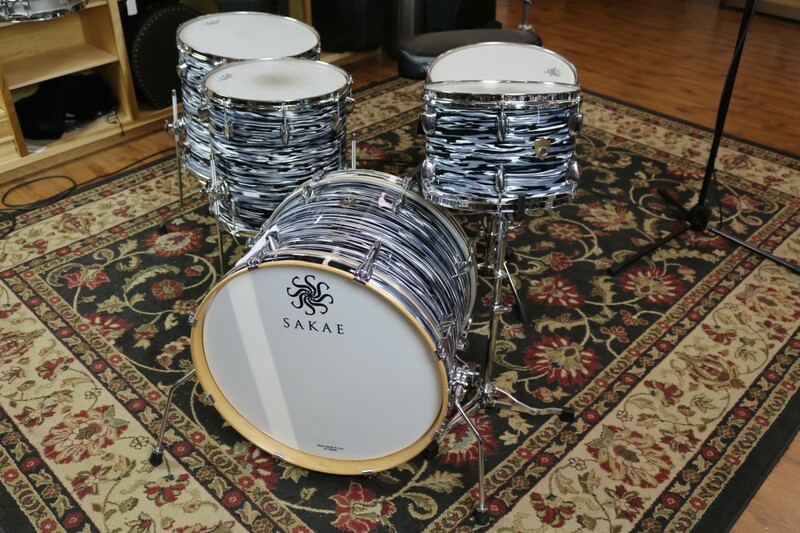 Sakae’s proprietary Maple/Poplar/Maple 3-ply shells are at the heart of Trilogy’s vintage sound. 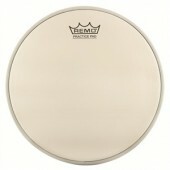 4-ply North American Maple reinforcement rings at the top and bottom of the shell help to dry the sustain and keep the ultra-thin shell in round. 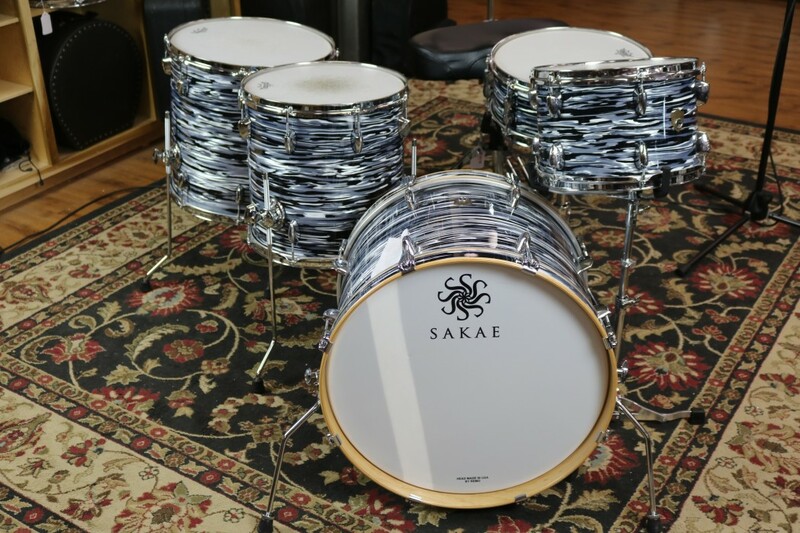 The hardware is from Sakae's PAC-D and Road Anew series. 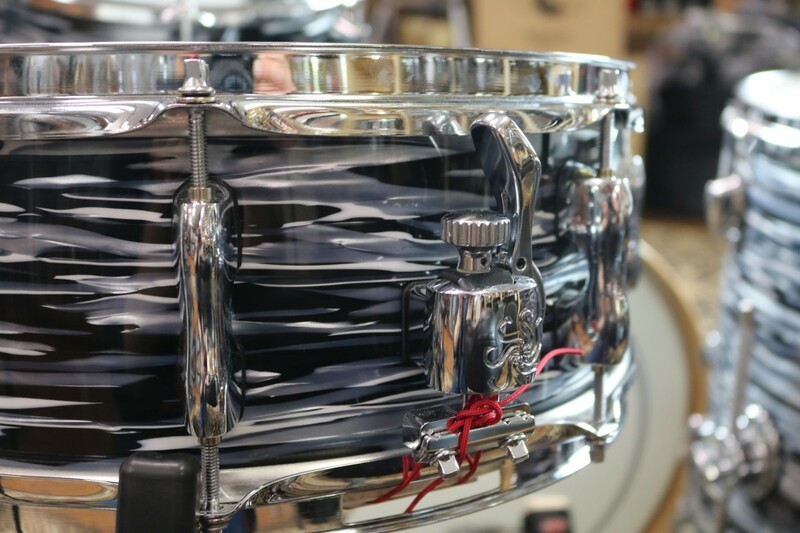 It is lightweight and helps allow the thin shell to resonate as much as possible. 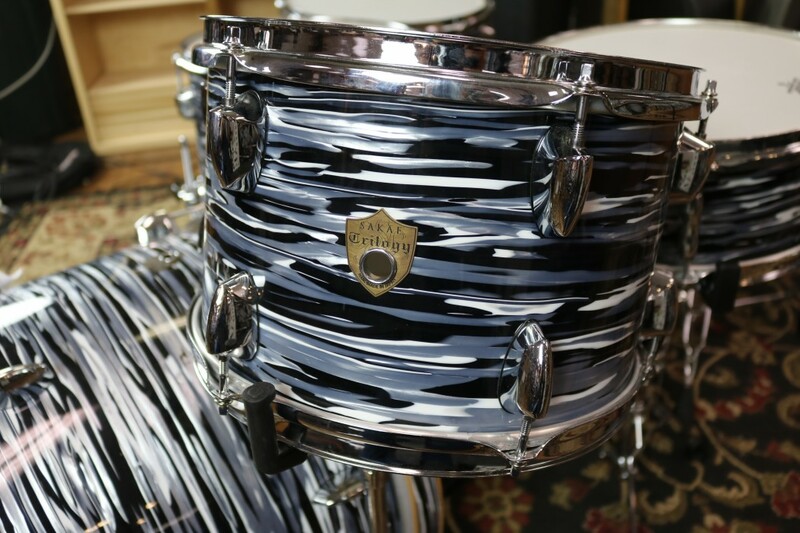 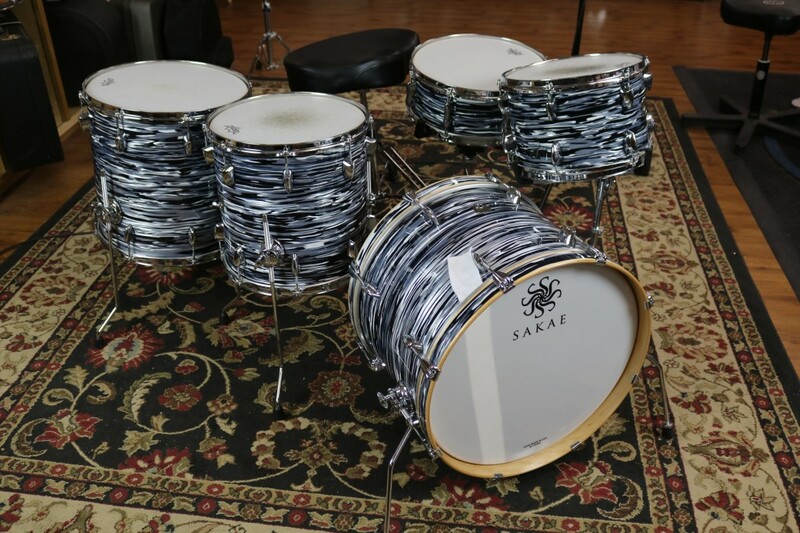 Also, the Trilogy series is extremely lightweight, making the perfect kit for the classic Jazz tones of the 50's. 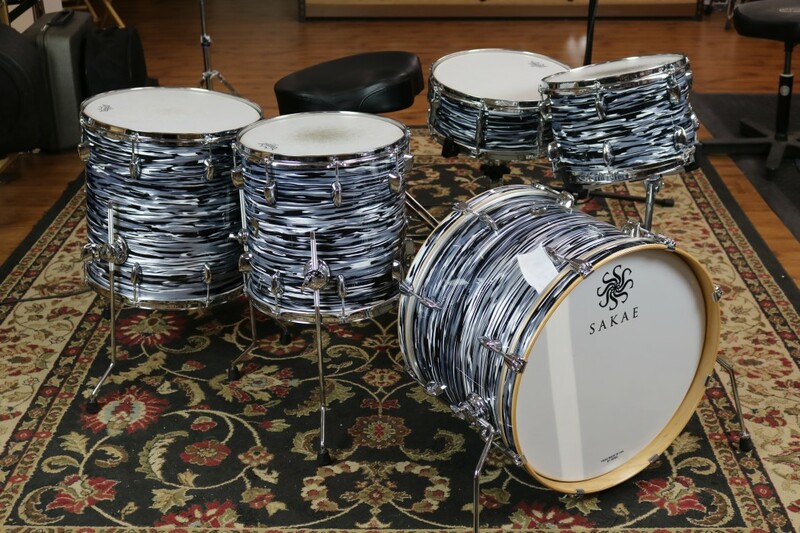 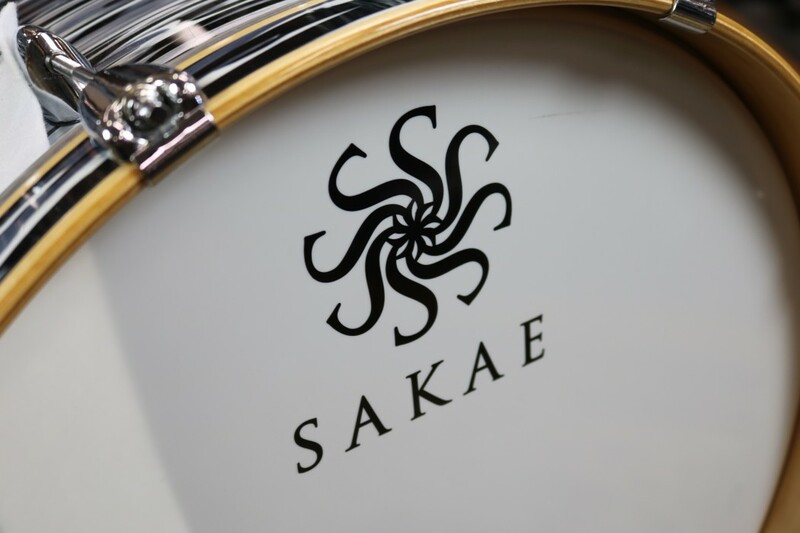 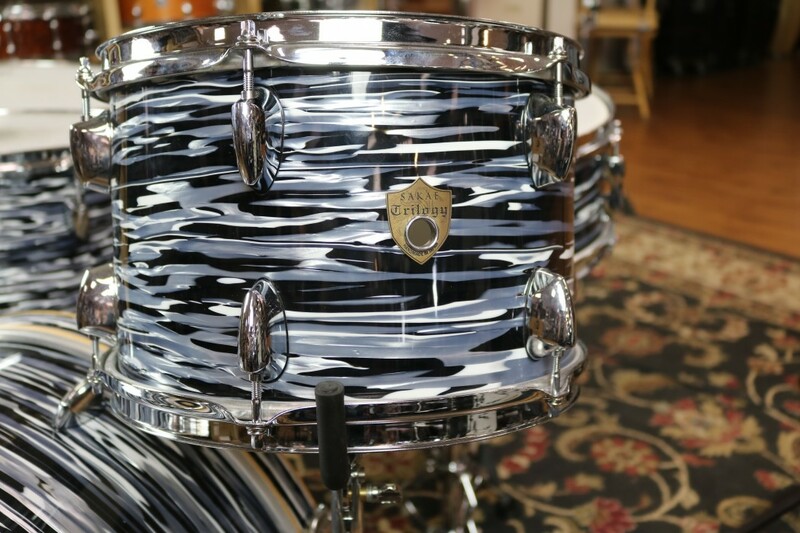 Sakae's distinctive attack, when utilized with thicker drumheads, creates the punchy, dry tones of early R&B and 70's Rock.